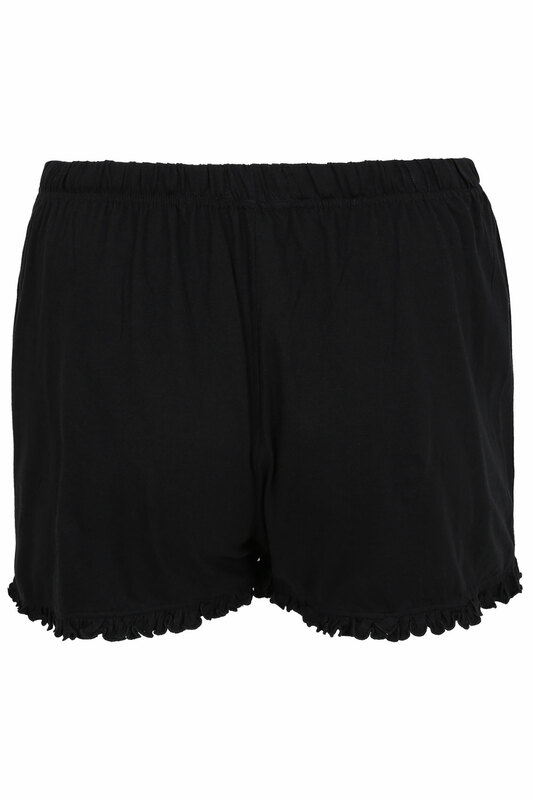 Plus size black pyjama shorts with frill edge. Features elasticated waistband with satin bow to the front. Made from a soft cotton jersey fabric for a comfortable fit.